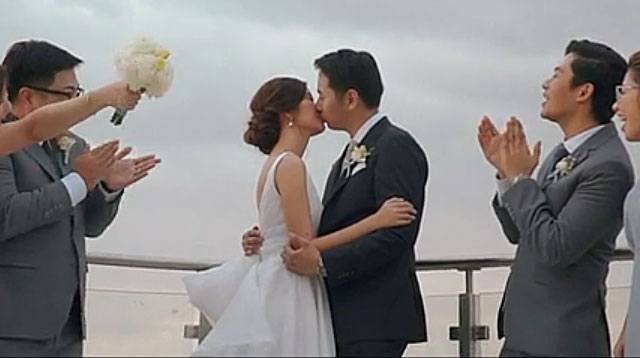 Tricia Gosingtian and RG Gabunada’s wedding video is finally out! The heartwarming video shows clips of the couple’s wedding and reception shot by Bob Nicolas. Both Tricia and RG narrated letters they wrote to each other, and we may have shed one-too-many tears while watching it. What really got us though was when Tricia said, "If I had to choose which one of my travels is my favorite, it’s definitely the ones with you by my side. Thank you for being the warmest, most welcoming home anyone could ever wish for, and my greatest source of adventure all at once." RG and Tricia from Bob Nicolas on Vimeo. BRB, ugly crying some more by ourselves!